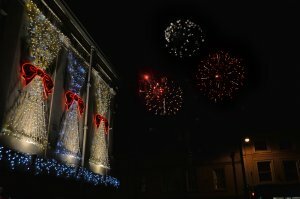 Lutterworth Town Council organise and run the annual Christmas Lights Switch On event every year, which usually takes place on the last Friday in November. 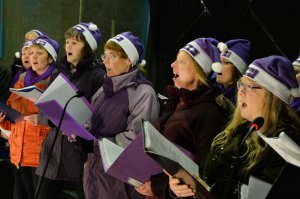 This family event is always packed with festive fun, there really is something for everyone. 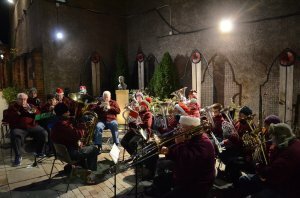 With festive favourites such as Santa's grotto, fun fair, mulled wine, a hog roast, on stage entertainment and the Christmas Lights Switch-On itself, usually at 7.30pm. 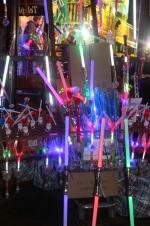 All followed by what has become the traditional Fireworks Display! 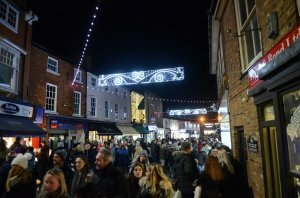 The event also includes Christmas themed stalls selling a wide range of Christmas gifts and treats positioned in spots around the town centre and the majority of shops stay open for a spot of late night shopping. The A426 in Lutterworth will be closed on the evening to through traffic from 5.00pm to 9.00pm. The road will be closed at the north of the town from the junction with Bill Crane Way and to the south from the junction with St Johns Business Park. Local traffic will be diverted around the town centre, with no vehicular movement between the Wood Burner Workshop and Misterton Way. This will ensure that residents and visitors will be able to enjoy the Christmas Lights event in a safe environment, unhindered by traffic. Lutterworth Town Council would like to hear from you if you are able to volunteer as a marshal for the evening. We always need more people with local knowledge so that relevant diversion information can be provided to motorists at the road closure points.